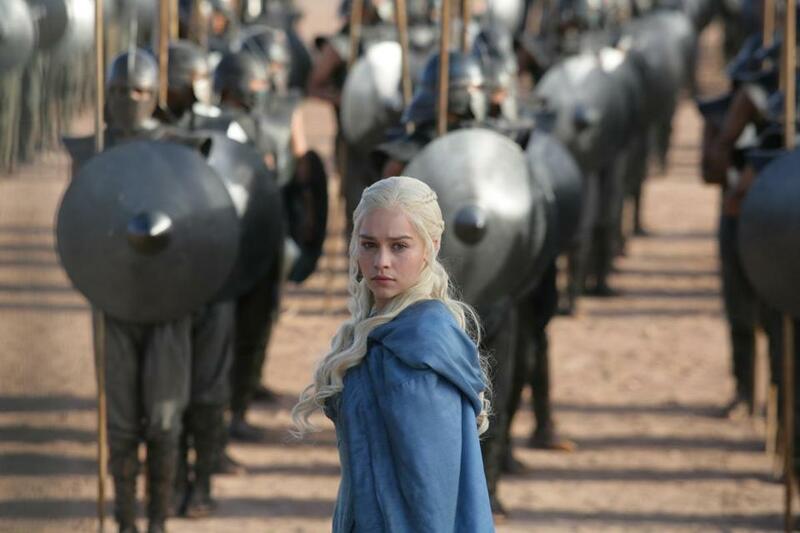 Emilia Clarke in a scene from "Game of Thrones." The final season premieres on Sunday. LOS ANGELES — Devoted ‘‘Game of Thrones’’ fans who’ve watched and re-watched all 73 episodes of the HBO series, and read and reread all 4,000 pages of the books by George R.R. Martin, will at long last get the ending they’ve craved with the series’ eighth and final season that starts Sunday. But will it be the ‘‘real’’ ending? The show premiered in 2011, the same year Martin’s fifth book in his ‘‘A Song of Fire and Ice’’ series was released. Fans have been waiting, and waiting, and waiting, for the sixth, ‘‘The Winds of Winter,’’ ever since, and many wonder whether the 70-year-old author will live long enough to finish all seven planned books in the series. Martin’s world probably has a future on TV. He and Jane Goldman have scripted a pilot, set in Westeros thousands of years before the timeline of ‘‘Game of Thrones,’’ that is in production for HBO. The cable channel has other possible spinoff scripts in the works, too. Martin has released sample chapters of ‘‘The Winds of Winter’’ to sate hungry fans, and in them characters are in very different places than where the show put them, suggesting the endings might diverge too.